This lovely compact has one inside normal mirror and one magnifying mirror. 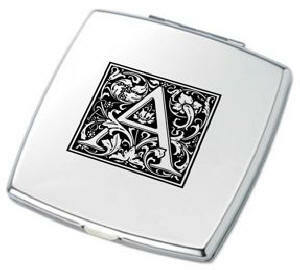 Perfect for engraving, it makes an appreciated gift or party favor for your Great Gatsby event. Size: 2-3/16 in. x 2-3/4 in. x 1/4 in.